Regardless of how many #10 cans of “just-add-water-ready-to-eat” stuff you have, at some point you’re going to have to learn to use a kitchen in much the same way as your granny, or your great-granny, did. 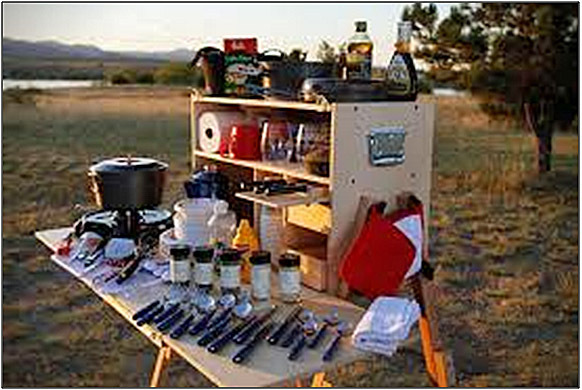 So we’ve put together this list of 38 essential kitchen items for any survivalist. 1. Matches – If you don’t smoke, why on earth would you need matches? 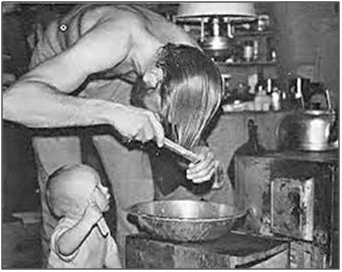 But if we’re going to learn to cook like granny, for most of you that would include cooking on top of a wood heat stove, or on a wood cook stove with an oven. I know there are ways to start a fire with a magnifying glass, some straw and some kindling, but believe me, matches are easier. If you’re really good at starting and keeping a fire throughout the 3 daily meals, you could use as little as 1 match a day. If you’re not, 20 may not be enough. We have found that the most economical matches are book matches, like you get with a pack of cigarettes. They come in a box of 50 books, 20 matches per book, for about $1.50 in many stores. That’s a lot of lights for cheap. Wooden kitchen matches go for about $3.50 for 250 matches. See the difference? 2. Can-Opener -we’re not talking about the kind that plugs into a wall. Have at least 2 good, sturdy hand operated can-openers . The newer ones from China do wear out. We’ve worn out a few. We also have an Army C-Ration P-38 can-opener. It takes a little practice, but once you get the groove going on it, you can open a #10 can in a few seconds. 3. Hand Grain Mill - We have said this before, but we personally like the Wondermill Junior Deluxe Hand Grain Mill. (This is not a compensated endorsement, it’s just what we use and like.) For the money, it’s the best we have found. What can you do with it? Grind wheat, rice, barley, oats, rye, lentils into flour. It can also be used to make nut-butters, like pinion butter, walnut butter, chestnut butter. It will also make cornmeal. The uses are virtually endless, especially if you eat a lot of whole, natural foods. 4. Cast Iron/Stainless Steel Cookware - If you are going to be cooking over a wood stove of any kind, you need durable stainless steel or cast iron cookware. Aluminum (besides not being good for your health) tends to warp on wood cook stoves. Black, cast iron pans heat evenly, hold the heat for a long time and do not warp., not to mention giving you a little dose of iron in your food. 5. Roasting Pans – Enamelware is best, and so is stainless steel. Make sure the roasting pan will fit into your oven! Wood cook stoves don’t have the same huge ovens as gas or electric stoves. 6. Tea Kettle – Stainless Steel or Copper. In the winter, a steaming tea kettle on the wood stove not only serves as as-the-ready for tea or coffee, the steam warms and moisturizes the air. Just don’t let it boil down all the way before refilling it. 7. Colanders – Metal (stainless steel) is best. If you have or want some plastic colanders, understand that they will break over time, and most of them are made with BPA in the plastic. 8. Cookie Sheets – for breads, biscuits, cookies, for drying fruits or veggies… Avoid Teflon coatings or aluminum cookie sheets, get stainless steel. 10. Measuring Cups and Spoons- Once again, stainless steel is the best choice for these. A 4-cup glass measuring cup with a pour-spout would be a nice addition, too. 11. Good Knives – Good Knives are ones that will keep a sharp edge for a reasonable amount of time, not go dull instantly upon use. If you can find old, carbon-steel knives in yard sales or flea markets, they are best, Old Hickory, Old Timers, Imperial are some brands to look for. 12. Sugar (or honey or molasses), Essential for coffee, tea, baking, preserving, and much more. Get Turbinado or Demarara Sugar, which is unrefined and still contains nutrients. 13. Salt - Sea salt may seem more expensive that “table” salt (I didn’t know you could get salt from a table!?! ), but it has many minerals and nutrients still in it. It also tastes better. 14. Baking Soda -there are soooooooo many uses for baking soda besides baking: antacid, drawing poultice, kitchen cleanser, vegetable rinse, fire extinguisher, food preservative, water purifier, toothpaste, bathing, hair rinse, facial exfoliant are just a few. 15. Vinegar – white distilled vinegar, apple cider vinegar, wine vinegar all have their uses. Distilled vinegar can remove lime deposits from cookware, use in salad dressings, rinse minerals from hair, preserve/pickle vegetables. 17. Dried Veggies - these can also be used to season dishes, or to make soups or stews. Again, this is not a paid recommendation, but http://www.sfherb.com/ (San Francisco Herb Company) has a great bargain. 1 lb of dehydrated veggies for around $7. A pound lasts me about a month, and I cook a lot. 18. Cooking Oil – In our opinion, there are only 2 types of cooking oil safe for human consumption… Extra Virgin Olive Oil and Peanut Oil. The following article was generously shared with the SHTFplan community by regular contributor ‘Be Informed’ and provides skills that will be essential for surviving any number of catastrophes that may befall us. Many people nowadays are quite aware that the world they live in is going to the toilet. Aside from the geophysical part that “seems” to be going haywire and could be nothing other than the planet’s cycles, there are plenty of manmade catastrophes that loom on the horizon. Never has the planet had as many people as now and the more people there are the more competition there is for resources. More countries seek nuclear devices than ever before and with advancements in technology this is a much easier process than anytime before. Biological and chemical weapons are also much easier to manufacture because of leaps of technology in regards to computers. Oil markets are much tighter because of the countries of China and India and their increasing need of energy to fuel their booming economies, and new finds of oil fields cannot keep up with the demand. The debacle of the world economies needs no introduction. In short, bad times, really bad times could and probably be coming to a neighborhood near you. Unless you and your family take quite seriously this possibility, if and when something extremely horrible happens, you could very well end up one of the large number of statistics. Many survival sites have informative and excellent advice on survival that can help you make it through a limited amount of time when everyday life is totally disrupted. However, what exactly does a person do IF the society that almost all of us have become way too dependent on, fails to recover for an extended period of time, if ever again? What IF civilization implodes and only begins to recuperate after centuries have gone by? If you watch some of the ideas people have on survival being interviewed on television, you have to wonder what exactly these people are thinking. The people that have prepared for problems with the world are woefully ready for any disaster lasting for more than a few days at best. One lady thought having a flashlight was being prepared. Even those that have invested in years worth of food and supplies, there are some basic survival skills that need to be learned and understood to better increase one’s chance of making it through a possible long-term survival situation. The following are 25 suggestions on those survival skills that will likely be needed after a nightmare has hit human civilization with a vengeance. Each of these 25 skills can fill an entire article on learning and teaching of it. So only a brief overlay of each of these will be discussed to avoid pages long descriptions. Further information can be obtained through many survival books and the many articles on each subject. Situations and personal handling of SHTF situations will differ widely, but the foundation will likely be there for almost everyone. The main objective is to get people into learning and practicing these survival skills so when something cataclysmic does happen, they can better deal with and make it through intense human tragedy. 1. Prepare for the worst. Individuals can still hope for the best, but something lacking with many preppers is that they still cannot even think about something really awful happening. Too many of those that do ready themselves for disasters cannot find within themselves to even discuss with their families and friends a calamity that is horrid and what to do if it should manifest itself. This denial leads to a failure of preparing enough beyond usually a couple of weeks or so. To them, there is still that government or other safety net waiting for them when their preparation runs out. 2. Learn and train your mind to expect the totally unexpected. The bizarre oftens happens, and there are events that are going to freak out even some the better prepared survivalists. A lot of people will prepare and practice all sorts of drills for various horrors, which is wonderful training. There still lurks the possibility of something so strange and weird that it shocks practically everyone. By addressing this possiblity in your thoughts before it actually happens, you have conditioned your mind to at least accept this. Training for something strange can be done through other individuals within your circle of allies coming up with sudden scenarioes that only their imaginations can fathom. 3. Learn to live meager. This is practicing for when times become lean for everyone. If a person wants to avoid the shock of living well to living under a rationed way of life, now is the time to get used to it. We all take so much for granted – the modern conveniences – it becomes an automated habit to turn on a light switch, flip on the internet, TV, cell phone, without even considering this could be wiped out within an instant. We open the refrigerator and there is food, or put food already pre-cooked into the microwave to warm it. We go to the supermarket and get what we need. We have entertainment at our fingertips. If this is all gone, how will people handle it? Horribly if they have not gotten used to going without it for at least part of their lives. A “time out” each day from what we so rely on that could disappear is quite helpful to being ready for if it does go away suddenly. 4. Find personal motivators to continue on. When it looks hopeless after a mega SHTF episode, having some concrete reason to fight and continue on is an absolute necessity to avoid giving up. Many people will feel, “what’s the point?”, and just stop trying to survive. Someone’s child sitting next to them, a parent, a sibling, a spouse, a friend, someone that means something to you can be that inspiration to continue on. It can be just someone’s desire for life that helps them over the hump. Finding that personal reason to survive and fight on is so important. 5. 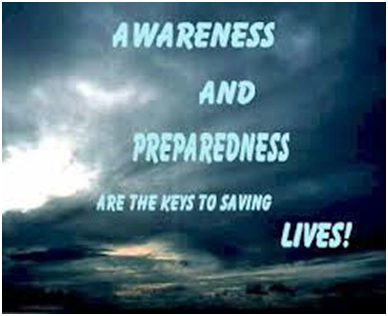 Understand the world and potential disasters that await. When you can better expect what could happen, you are less likely to be caught off guard. Timing is everything. An individual that can bug out before something hits is going to be way ahead of the pack. While predicting the future is probably going to be unlikely, seeing a situation developing and acting on it before it occurs can be a life saver. By monitoring the news of the world with vigilance you can see something others don’t. By becoming more informed about earth science if you live in an area prone to geophysical disaster prone areas can help much. The old adage about knowledge is power is very true, but knowledge is also part of survival and the more you have the more likely it is that you will survive. 6. Make plans and stick to them. After a disaster your mind is going to be racing around like a car on a race track. Pre-planning and having a written down set of measures to take will make someone’s life go much smoother when SHTF. Your own personal plan is ONLY what best fits what you are going to do during and after a disaster. People should also have back-up plans, PLAN B and C and D at least because nothing ever seems to go as planned. Haphazard approaches to the aftermaths of catastrophes are kind of like a chicken running around without a head. 7. Understand how you’ll react. Some people just cannot handle stress, they freeze up and panic overwhelms them. Everyone reacts to stress and fear in different ways, and even the most calm in control person can become ballistic or paralyzed with fright. Addressing this issue before something happens and attempting to come to grips with it is essential. People have remarkable levels of tolerance for bad times and most can dig down and come up mentally with what is necessary to survive. Any phobia or fear is usually better dealt with before being put to the test. A first step is to admit to oneself that these disasters can and do happen and then thinking over, even writing down how one will handle it. Talking this over with another is invaluable. 8. Understand the psychology of desperate people. This is a difficult one. After a SHTF event people are going to, simply put, go crazy. That neighbor that was in control during many minor emergencies may be the one pounding on your door with whacked out eyes demanding what you have because they did not prepare for anything. Someone in your own survival group may just blank out in a zombie-like stare. Unexpected times brings out the worst in people and people should prepare for this possiblility. You yourself could lose it. Again, preparing for this will help should it occur. You always hope that disasters will bring out the best in your fellow person, but often this is not the case. 9. Be clever and inventive. When the world falls apart around someone, there is likely not going to be anyone there to repair what you have or somewhere to replace it. 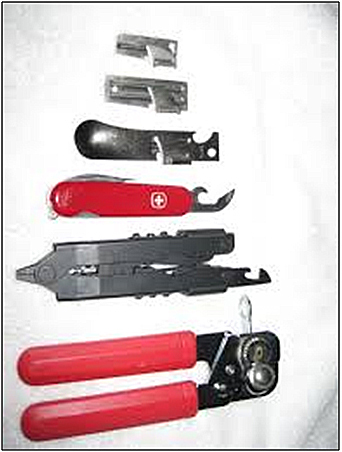 You will either have to go without, repair it yourself, or jerry rig up some contraption that will function for you. Much can be learned by practicing going without your power tools and fixing things using only hand tools and what you can find in spare parts laying around. Using junk to come up with unique devices that work for you will become a necessary skill you will need to master should society fail to come back. 10. Learn and condition yourself into a survival mentality. 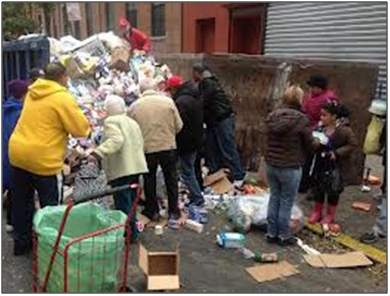 Homeless people become experts at seeing what others consider pure trash as survival tools. The fine art of scrounging around will become a chore that people will have to do to find what they need. That bottle on the ground after a disaster can be used for many purposes including collecting something you can use. People must first try to see in their minds what certain items can have use for them. Homeless people have become quite good at this during stable times, everyone will have to learn this skill after times become nightmare-like. 11. Know where you are going. Whether someone is going to bug in or bug out to somewhere safer, they need to know where they plan to take a stand and stay. Transportation is a very important issue to consider and how much of what they have can be moved to where they are planning to go. Fuel will be a huge consideration as the lack of it prohibits how far someone can go. Something else everyone should understand is how to read maps. You will likely not have any GPS system to guide you and the good old fashioned paper map may be the only way to show you where you are going. Understanding topographic maps is also key here. 12. Learn how to maintain light at night. One of the most depressing situations is to spend night in near to total darkness. Besides this, not being able to see at night is dangerous. Learning how to make candles and wicks should be a skill to consider learning. Fats and other oils will burn and can be obtained throughout nature and the outdoors. Long term solar battery rechargers for flashlights and LED battery powered lanterns are another option. 13. Learn how to hide. There will almost certainly come a time after a bad disaster that you will want to avoid being noticed at all. Learning how to camouflage yourself is a good start. Avoiding detection is concealing yourself from sight, sound, and smell from others. Any activity that a person engages in can be magnified many times when the normal sounds of a busy city or town are now quiet. Much careful consideration must go into taking this into account if a person wants to remain unbeknownst to others that mean them harm. Remaining inconspicuous can be difficult in some cases, but it can be done. 14. Maintain proper hygiene. This is one of the top priorities within the armed forces because disease and sickness can and do take down the toughest of soldiers. People must realize that after a terrible disaster it is not like someone that goes camping, comes back dirty, and takes a nice long shower or a hot bath. After SHTF the water to the faucets, as well the hot water heater, may not work. Bathing on at least a semi-regular basis is necessary to avoid all sorts of bacteria from building up on the skin and causing a variety of health concerning ailments that will then have to be treated. People should plan on just how they will keep themselves clean, even thinking about sponge baths as an option. 15. How to dispose of waste and proper sanitation. In third world countries and the pre-flush toilet era one of the leading causes of illness and death was and is waste not properly discarded. If the toilets won’t flush because there is no water to make them work, human waste is going to be a huge whopping problem for people trying to survive. Even improperly burying human excrement can lead to disease. Portable toilets, toilet paper and disinfection (bleach for one) should be one of the top items in any survival kit, lots of it. Also disposal of other trash is an issue that can bring hungry dangerous animals around drawn to the stench. Burning of trash can be choice of some, while plastic trash bags and the means to find some place to dump them is another alternative. 16. Learn to control pest and other vermin. This is a problem that led to about half of Europe dying several hundred years ago with the black death. Fleas and ticks carry some terrible diseases. Even people that stay inside their own homes will have to deal with this problem. People outside will have to contend with the fleas, ticks, flies, mosquitoes, mice, rats, etc., etc., etc. There are many repellents in nature that can help a lot such as citronella, even the smell of garlic that most vermin do not like much at all. Stocking up on insect and other commercial repellents is always an excellent idea. It only takes one bite to make a person deathly sick. 17. Understand radiation and fallout and how to protect yourself. This is one of the least understood of the survival precautions taken. There are hundreds of nuclear power plants that could fail after the world goes to the toilet. There are still tens of thousands of nuclear weapons available for war should countries decide to use them. Fallout is something that you might not even see and until you are sick might not even know you have been contaminated. Purchase of a radiation detector that is protected against EMP is a wise idea. Even building what is called a Kearny radiation detector is something someone can do that doesn’t have much money to work with. Understanding about radiation accumulation dosage RAD’s and how to shield oneself against it is paramount. 18. Learn how to forecast the weather. Without knowledge of what to look at before a storm system comes in, someone could be trapped and die when they are are buried under snow or a wall of water from a flashflood. Even one of those pocket weather forecasters that can be purchased at most sporting goods stores is a good start. Other weather forecasting books are available to help someone get a better idea on what the future weather holds for an area that they are at. Weather is still one of the deadliest killers in the modern age. It will become magnitudes worst when people cannot get weather warnings over a radio or other source. People will have to forecast it themselves. 19. Learn first aid. Treating yourself and or others will probably be the only thing someone can do as medical professionals are going to be few and far between. Many places offer free classes on first aid because they want people in the community to be prepared. A good first aid book along with a first aid kit is something every household should have before, during, and after a disaster. Primitive conditions should be expected when anyone is helping someone after a catastrophe. A stockpile of antibiotics are always a good idea. Even acquring the skill of making your own antibiotics can save lives as infection is something that will become an epidemic, especially with minor cuts and abrasives that are sure to be plenty. 20. Learn about nutrition. Vitamin and mineral deficiencies are nothing to fool around with. Just look what scurvy, the lack of Vitamin C, can do to someone. Many survivalists and preppers make the critical mistake of only being concerned about calories to keep them going. Vitamins; A, B1 through B12, C. D, E, K, Minerals; Calcium, Copper, Iodine, Iron, Magnesium, Manganese, Phosphorus, Potassium, Selenium, Zinc, and trace minerals are necessary to keep a body going. Many survival foods have some of what your body needs, but sadly lack in others. Each person needs different amounts and any survival food supply should take this need as important as the food itself. Vitamin and mineral supplements should be stocked with food if someone is unsure about what they are getting. Trace mineral drops are a liquid that offers much and are a good addition to any emergency supply someone has. 21. Learn to keep body temperature uniform. The Goldilocks analogy here, not too hot, nor too cold, but just right. Your physical body should remain as near to what your body has been use to as possible. It is not only uncomfortable being freezing cold or roasting to death, it puts a lot of stress on the body making someone more susceptible to becoming sick. Trying to stay cool uses up a lot of water, and trying to stay warm uses up more calories. Plan ahead with good warm clothes and blankets for the cold. Find places that are cooler during hot weather. Keeping out the elements where you are is essential and should be given much thought. If living outside, having a good shelter is beyond important. Insulation is something everyone should become more familiar with. 22. How to start and maintain a fire. This is for everyone. Having a fire and keeping it going when you need to has been the essence to the very first people on the planet surviving. 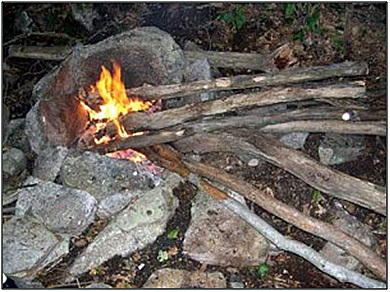 Fire cooks, heats water, keeps you warm, sterilizes items, and gives light. Having a lighter, matches, any starter is one thing, but actually keeping the fire going is another. Making sure the fire does not cause damage to your home or shelter is something not everyone thinks about. Burning of toxic wood or other material is something to remember never to do. Keeping a fire not too noticable to others is something everyone should remember because normally a fire means FOOD to a hungry person. While most everyone thinks that using a fire is rudimentry, there is much more to it. 23. Obtain water and purify it. This is one of the most rehashed subjects of survival but probably the most important one. Most people just assume the taps will continue to flow and water will be there. 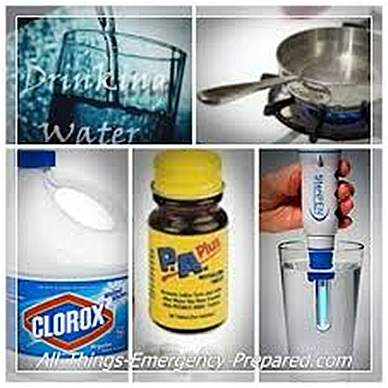 Preppers that take water as extremely urgent often forget just how heavy water is and the hauling of water back and forth from a source such as a stream can be difficult as well as hazardous if it is wiser to stay inside for whatever reason. People need to know that unless water is from a spring it will likely need to be purified and this means some reliable filters or boiling it which requires heat from a fire, along with pots to boil it in. Aside from drinking, water is also needed to rehydrate food, make milk from powder, and of course cleaning yourself with. We all have to have a certain amount of liquid a day, and juice and other sources will suffice, but water is something that everyone still needs in order to keep their bodies healthy and functioning, as well as to remove toxins in the body. Water need and how much water will be used is something that is often vastly underestimated by many. 24. Learn how to grow food and or find it. People’s supplies will only last so long, and eventually self sufficiency with acquiring food will become necessary. Many people are into seed storing, and in many cases growing your own food will feed the family. However growing food has many drawbacks that people need to look at. Water is an issue in dry areas as irrigation is very manpower or animal power dependent. Growing season is a huge consideration as most of the U.S. is under 300 days of rain a year. Pest problems are enormous as pest control, pesticides both natural herbicides and chemical, are not going to be readily available. One of the gravest things to contemplate about is actually guarding your yield, as two legged problems could be a bigger issue to your crops than some beetle infestation. Hungry people will see food growing and take it, 24 hours a day. No one can grow enough food to feed all those seeking food. From a practical sense, it might be a better idea for some to go the hunter and gathering approach. 25. Learn how to defend yourself and be willing to do it. This almost certainly means owning a firearm and knowing how to use it and be willing to use it to protect yourself or others. Many TV survival documentaries shows have people that feel they can defend themselves with knives, clubs, whatever, but in reality against someone else with a firearm they are going to lose 95%+ of the time. A firearm is an extension of a weapon that has speed and force behind it. Even the humble .22 caliber can stop any person. Many people think that they cannot use a firearm against another person, but this feeling changes abruptly when they see one of their family members at risk. Some people still cannot use a firearm, and in this case should consider some form of self defense such as the non-lethal devices including stun batons, pepper sprays, TASERS, even ball bats. NO ONE should ever consider themselves to be safe after a SHTF event, NEVER. People can feel that everyone will come together and rebuild society, many good people will, but there are plenty of bad people in this world. It may come down to you or them. Everyone needs to practice and practice with any self defense armament they have, so there is no hestiation when it comes to saving one’s life from someone that is willing to take yours. These are 25 suggestions that people need to address now, before trying to survive the aftermath of a horrible event that sends the normalcy that everyone has become accustomed to down the drain for extended periods of time. People that prepare have to realize that when civilization stops functioning so does everything that most of us depend on. There may never be that safety net there for us to fall into WHEN our stocked up survival supplies run dry. Much of survival is having supplies, as well as backups for when food, water, and other necessities cannot be found. The other part is being ready for everything our new life could throw in our way. For this we all need to learn survival skills. At least think about it and then hopefully act upon it. When someone thinks about their personal needs, an individual can probably add many more survival skills to these 25. They should become quite proficient with the skills they personally need and can use NOW before SHTF so they have a better chance of surviving some nightmare series of events that “seem” like an inevitability in the not too near distant future.